This campaign was created for everyone to contribute at various impact levels. You can make an impact and share the donation page with your family and friends or even create your own personal campaign. Your involvement is critical to our success in helping those who cannot afford transportation. Click the headline to make your donation today, and thank you again for your help. PCHS and Santa Monica Big Blue Bus have partnered to offer Big Blue Bus service connecting PCHS with the Expo Line light rail at 4th Street & Colorado Ave. in Santa Monica. Parents! Need Help Setting Up Your Infinite Campus Account? Infinite Campus activation keys were sent to you via email. Click the headline to watch a helpful tutorial! Need Help Setting Up Your Parent Schoology Account? Click the headline above for a step-by-step guide! 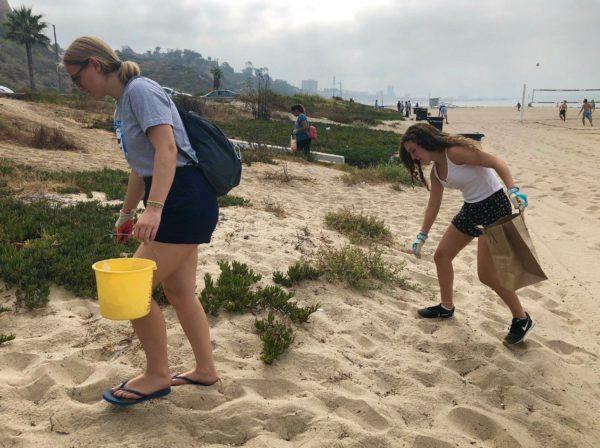 Pali Students teamed up with Heal the Bay and the PPDC to clean up Will Rogers State Park. Click on the headline to read the full article!